2 in1 Denti-Care Chews are tasty, highly digestible tablets, which should be fed to your pet between meals. To ease chewing, the tablet can be cut in two. Analytical Constituents: Crude Protein 13.4%, Crude Oils and Fats 2.8%, Crude Ash 65%, Crude Fibre 0.3%, Moisture Content 2.9%, Calcium 25.5%, Phosphorus 0.4%, Sodium 0.07%. Ingredients: Calcium Carbonate, Brewer’s Yeast, Natural Flavouring, Pomegranate Extract (Punica granatum), Peppermint Oil, Parsley Seed Oil. 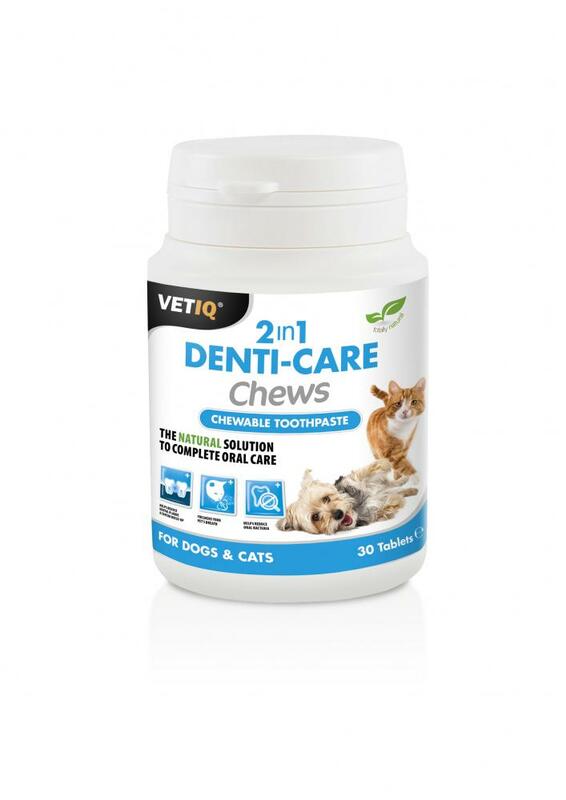 There are currently no questions for VetIQ 2in1 Denti-care chews - be the first to ask one!